1,116 sq ft; lot: 3306 sq ft - MLS# 1400076 Courtesy of RE/MAX Whatcom County, Inc.
Great partial views of the bay. 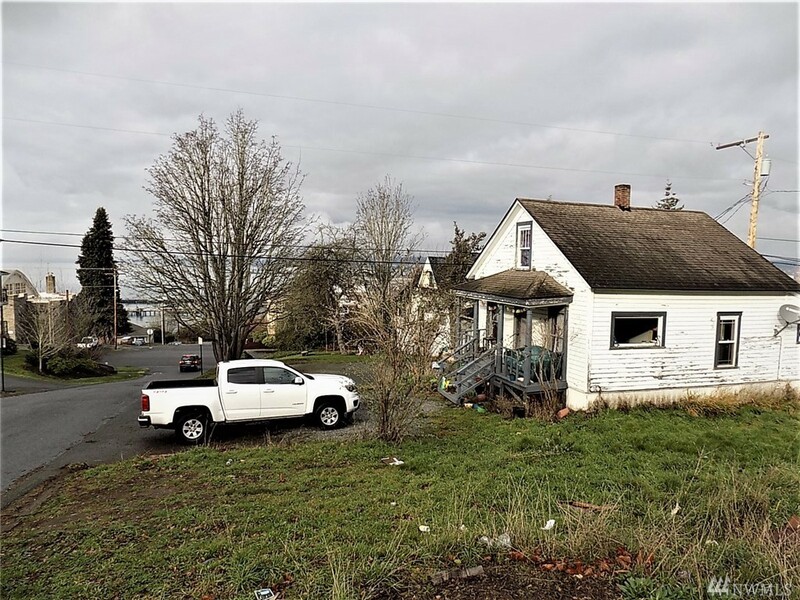 Outside this Bellingham home may seem like it needs a lot of work. The inside though is kept up nicely for it's age. South Hill neighborhood & very near WWU. Painted original hardwood floors throughout. Updated bathroom and gas furnace. Good size mud room with laundry. Cellar for storage. Give this home a shine with some new exterior paint or, consider replacing this home for a duplex. Multi-family zoning allows 1,500 sq. ft. of land per unit, buyer to verify.